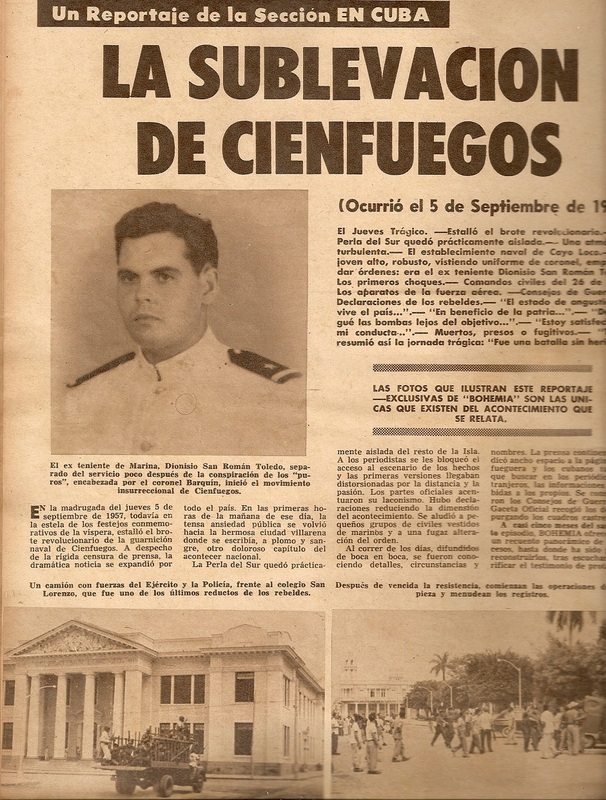 On June of 1957, a group of officers of the Cuban navy and numerous members of that corps with the support of some elements of aviation and militants of the July 26 Movement, worked out an ambitious plan to overthrow the Fulgencio Batista government. This plan contemplated key actions to be carried out by members of the armed forces at strategic points such as Havana, Cienfuegos and other areas of the country. The leader of the action was the Ensign Dionisio San Román. The action was scheduled for September 5 and contemplated executing action against the Presidential Palace and the General Staff of the Navy, which would be bombed by surface units of the Navy. A meeting of senior navy officers was held on September 3 and it was decided to postpone the revolt for 24 or 48 hours, but that decision was not received by all the forces involved. 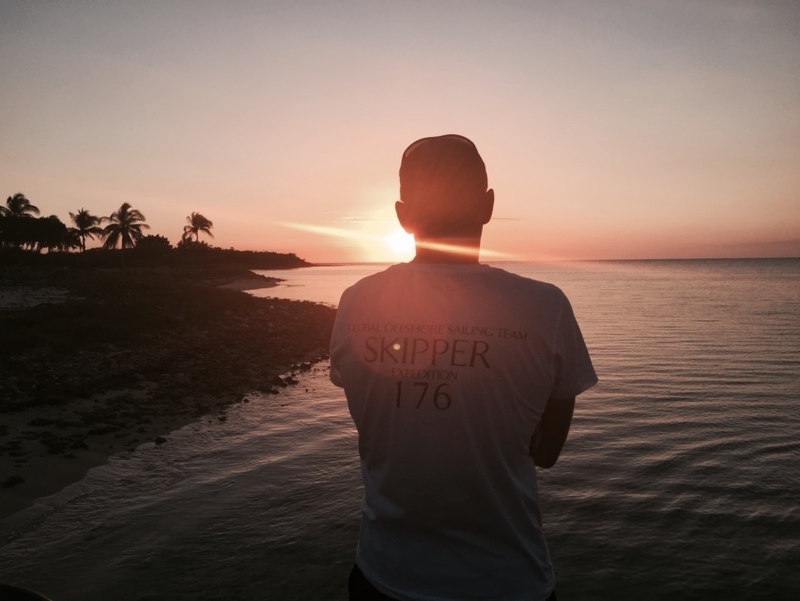 At 05:20 in the morning of September 5, the sailor Santiago Ríos Gutiérrez launches the plan agreed for the taking of Cayo Loco; after the first phase of the plan had passed, the leaders of the action were quartered at the base with the intention of directing the actions from there, took place of the position of the Maritime Police and the National Police. At 09:00 in the morning, seeing that the uprising was only taking place in Cienfuegos, members of the July 26 Movement led by Camacho Aguilera, propose to collect as many weapons as possible and flee to the Escambray mountains. About 10:00 am, army aviation loyal to the government, begins to bomb the rebels; San Román does not accept the plan of retreat to the mountains proposed by members of the July 26 Movement and decides to contact with the frigate “Máximo Gómez”, in that boat is reduced, captured and taken to Havana in a military airplane to Columbia Airfield and from there to the headquarters of the Naval Intelligence Service, in that place Dioniso San Roman was interrogated, tortured and finally murdered. The uprising of the Naval District failed militarily, but it marked a way in the fight against the Batista oppression.